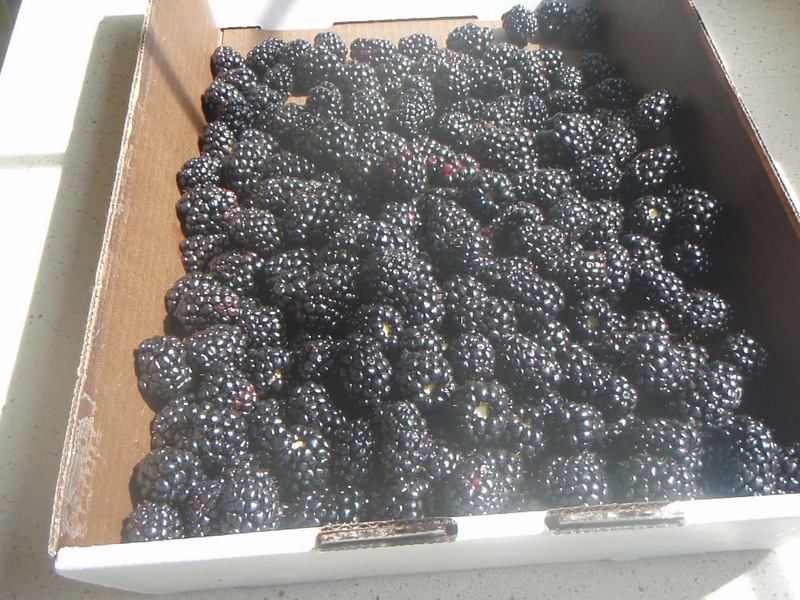 We did lots of blackberry picking on Wednesday --I mean lots!! 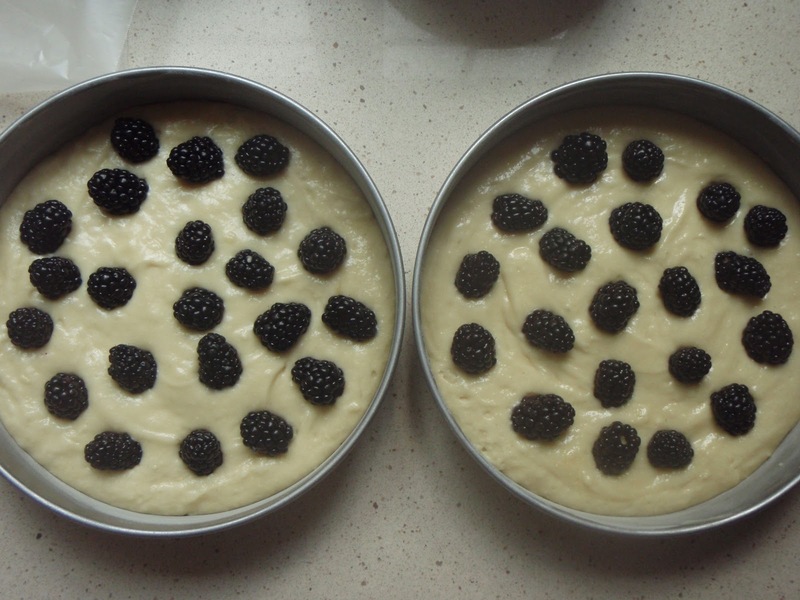 We came home and made two Blackberry Buttermilk Cakes. 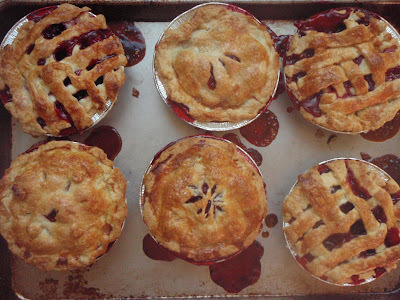 Yesterday we made these precious little pies. Well, some little helpers made these with only a tiny bit of help from me. I have another Blackberry Buttermilk Cake in the oven right now. 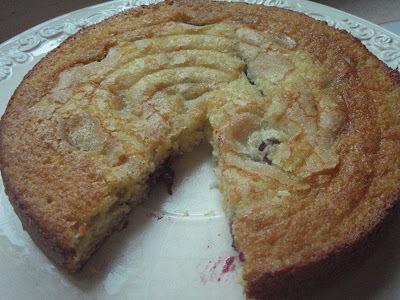 One of my girlfriends is having a "ladies night" tonight so I think this scrumptious little cake will be a great addition to her buffet. Don't you? 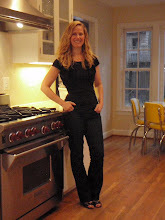 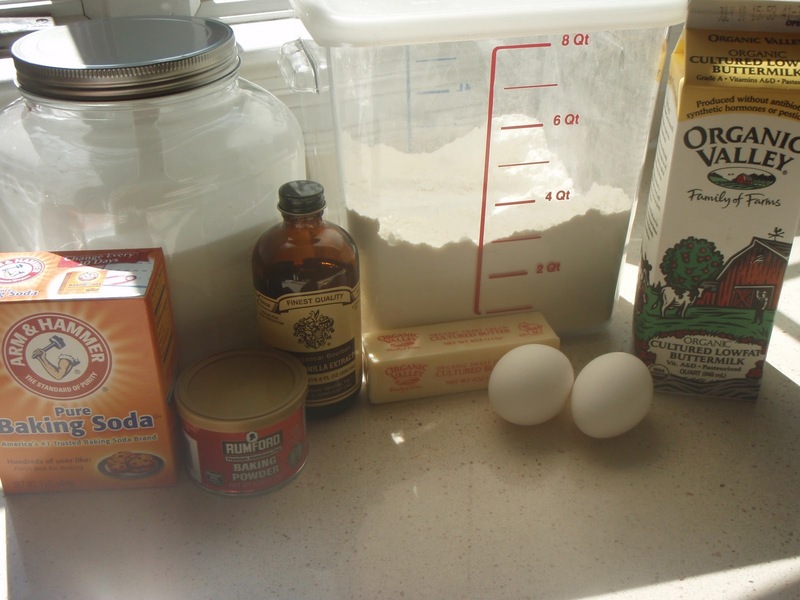 You really must make this --it is incredibly easy! 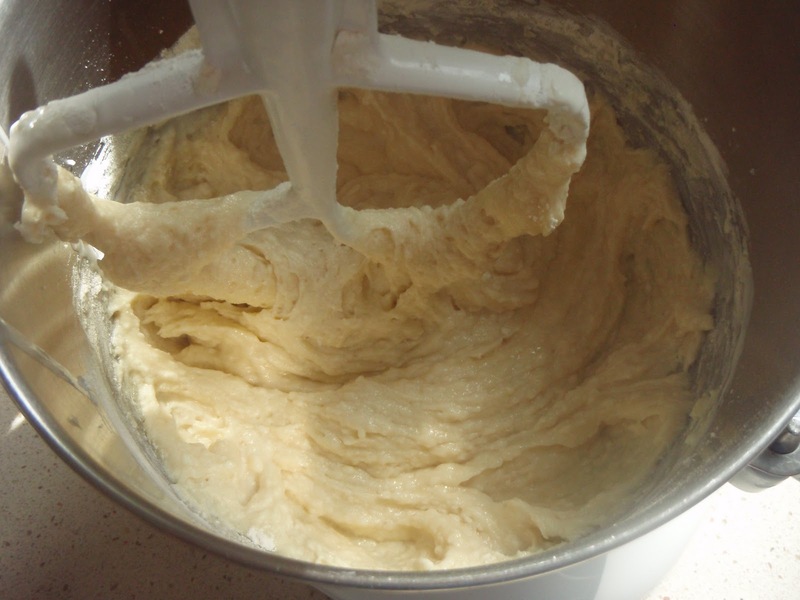 Whisk together flour, baking powder, baking soda, and salt. 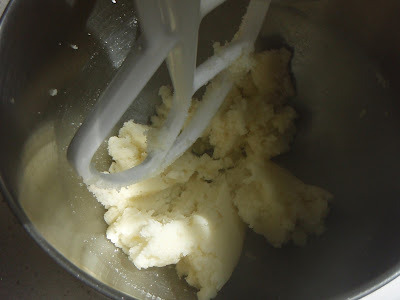 Beat butter and 2/3 cup sugar with an electric mixer at medium-high speed until pale and fluffy, about 2 minutes, then beat in vanilla. Add egg and beat well. 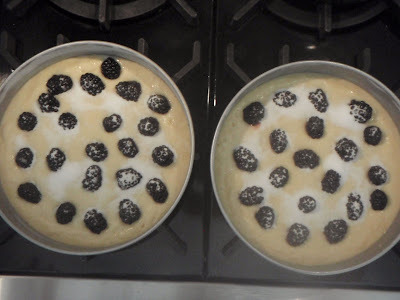 Spoon batter into cake pan, smoothing top. 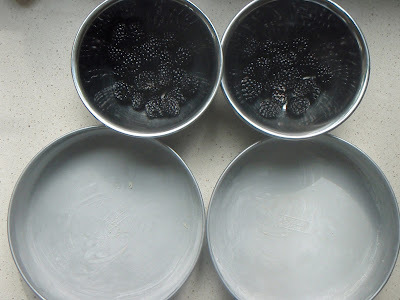 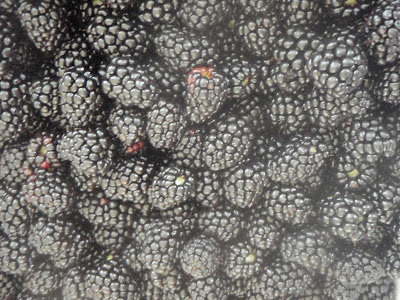 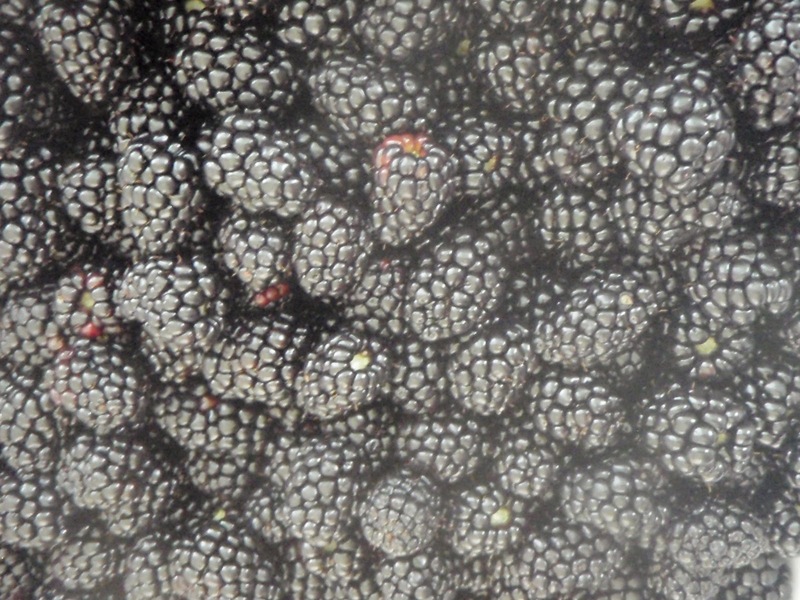 Place berries evenly over top and sprinkle with remaining 1 1/2 tablespoons sugar.